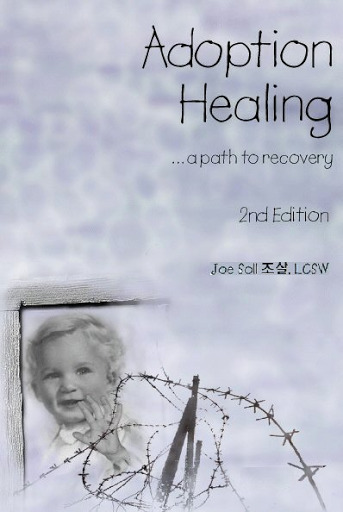 The reader is provided with a description of the unfolding of the adoptee’s personality from birth, detailing each developmental milestone along the way, followed by different methods of healing the adoptee’s wounds, including inner child work, visualizations, healing affirmations, and anger management. Every chapter includes a Myths and Realities of adoption section, a summary of the chapter and exercises to do on one’s own. Adoption Healing “presents a clear, comprehensive, and theoretically consistent approach to address the issue of healing in adoption... this book should be required reading by anyone serious about attempting to resolve emotional conflicts in adoption." This “comprehensive and thoughtful book, offers a positive approach to help members of the adoption triad heal lifelong wounds. It is a welcome addition to the growing library written by experienced individuals who occupy both personal and professional roles in this world. As an “author, teacher, and therapist, Joe Soll has brought the essence of adoption, its inherent pain to pen. His words offer counsel for the tragic separation that has occurred in the sacred union of mother and child.